The A.R.T. revival of the musical Pippin directed by Diane Paulus is set to head down to New York this Spring. Beginning previews on March 23rd, with an opening on April 25th, the Stephen Schwartz musical will play the Music Box Theater. 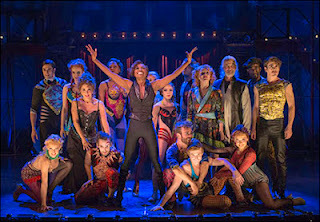 Though no official casting is announced, the current company includes Patina Miller as the Leading Player and Matthew James Thomas as the title character Pippin. Are you as ecstatic as I am? Glory glory!